SAVE 40% OFF PRIVATE COLLECTION. FINAL SALE. 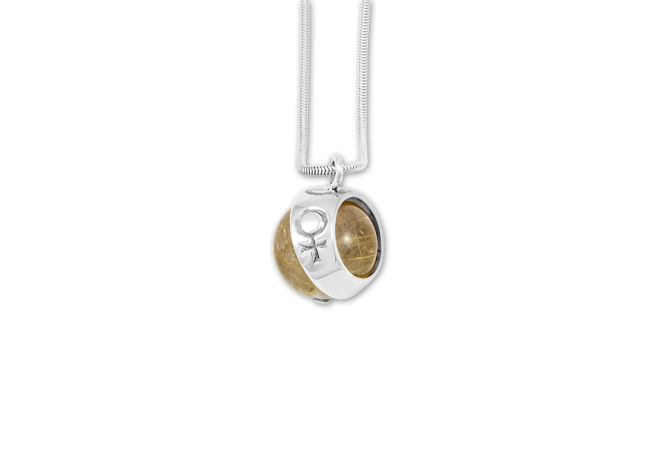 Pendant from the Orb Collection. Sterling Silver and Rutilated Quartz. Extremely limited edition.